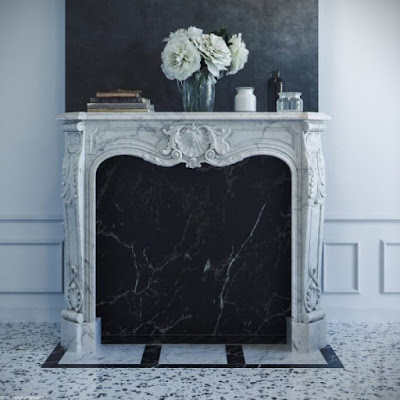 In addition to the attractive color and the magician there are engravings of marble as natural material add to this product special touch and glamour distinctive. 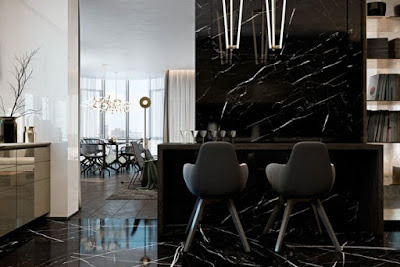 Therefore, the black marble gives the interior a special aesthetic reflecting luxury through its luster and gloss and mystery through its dark color. If you are a fan of this article there are many ways to use it, although we see it a lot in the flooring, but it is used in various places of the interior of the house will talk about the most prominent. 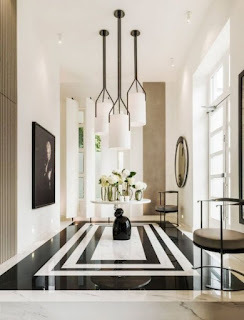 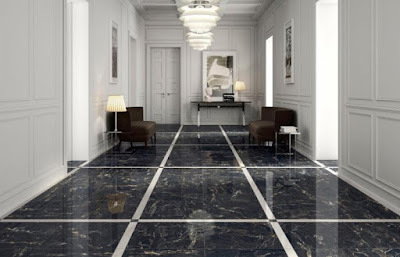 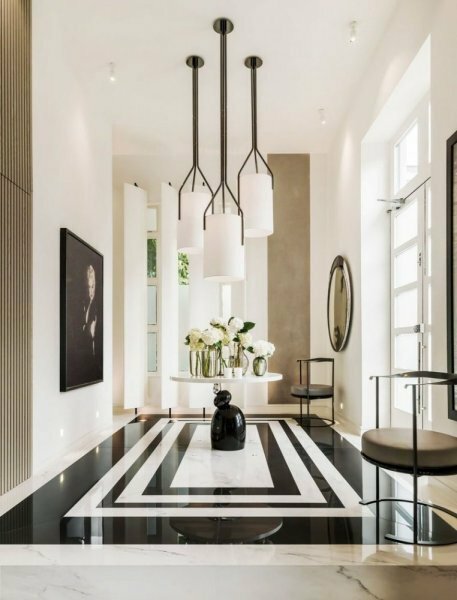 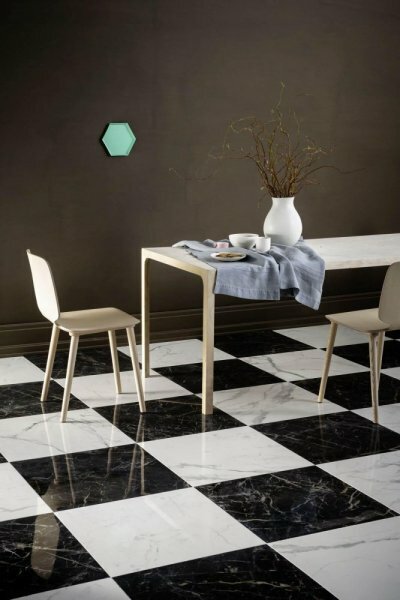 ☗ Flooring: It is very common to use black marble in the design of floors, which reflect the dignity of the interior decoration, we see it often in the entrances of the house, reception rooms, sitting rooms. 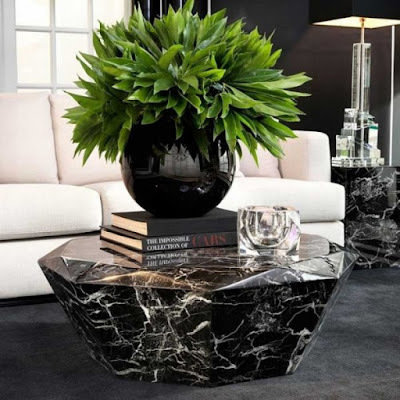 ☗ Furniture: especially tables, tables, basic sitting rooms, side tables. Modern designs are also available for marble chairs, as well as art pieces such as large tubs or small flower pots. 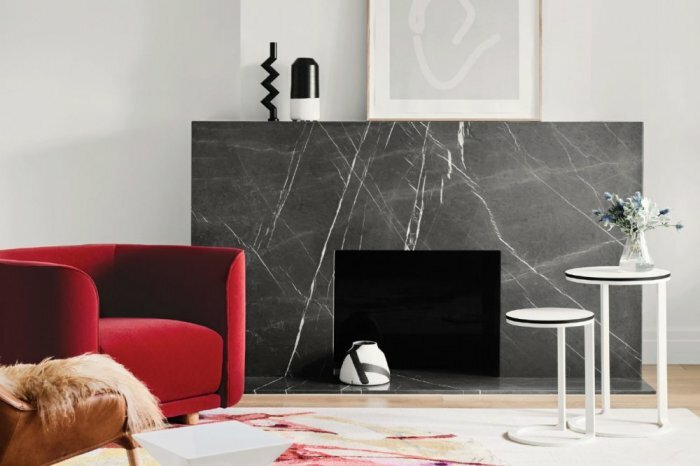 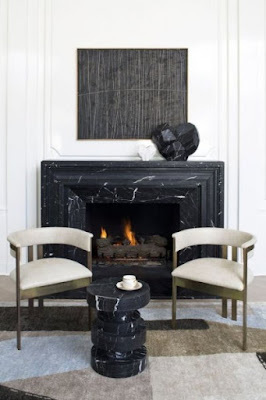 ☗ Fireplace: One of the most popular places to use this material, can also be seen in white and black in simple modern forms or classical designs where the decorations decorated. 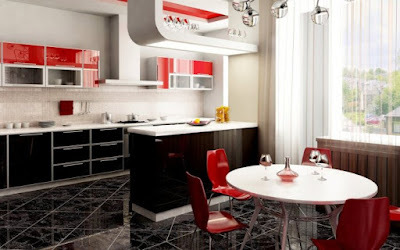 ☗ Kitchens: We see them on the working surfaces, kitchen island, floors, one or all of them, the red color matches with furniture or kitchen cabinets or white of course. 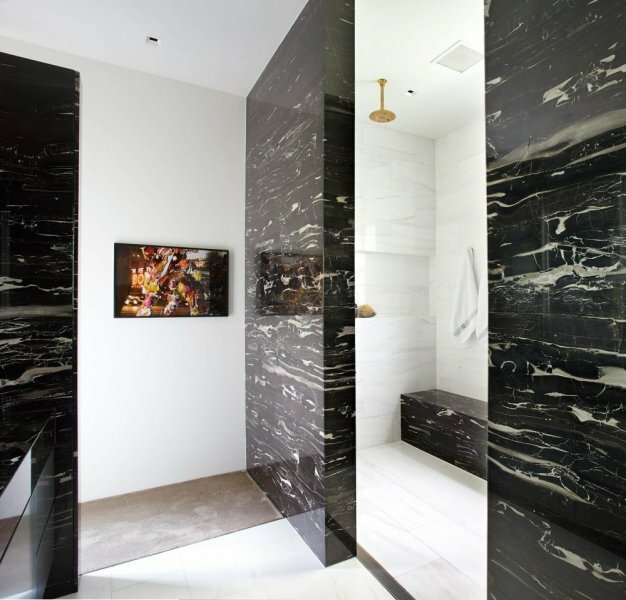 ☗ Bathrooms: especially in bathrooms with large spaces, in walls and floors, as well as laundries and showers. 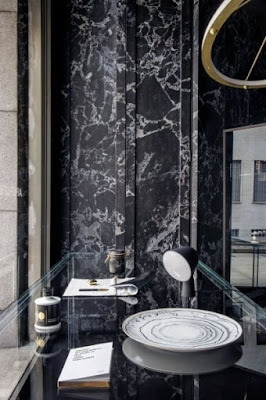 In the bathrooms we can use black marble more widely and more freely. 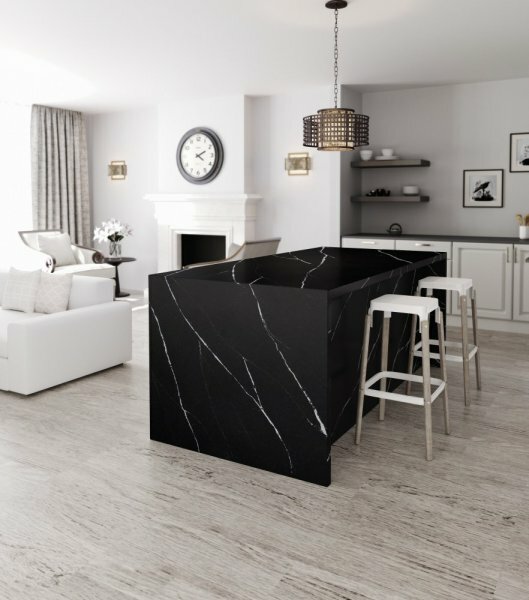 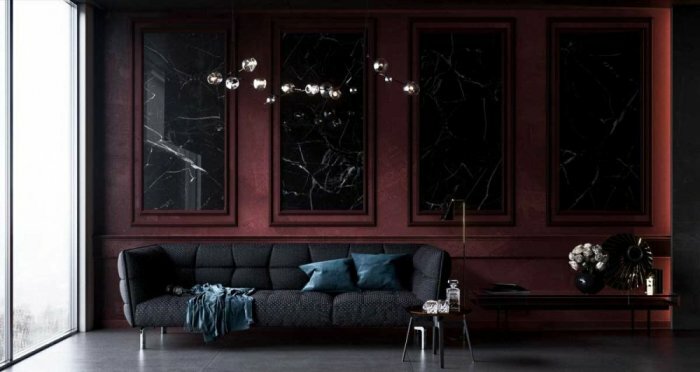 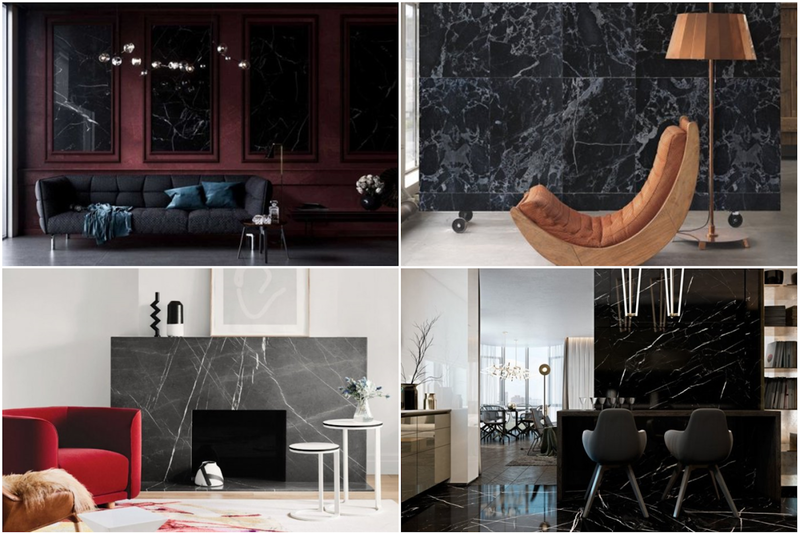 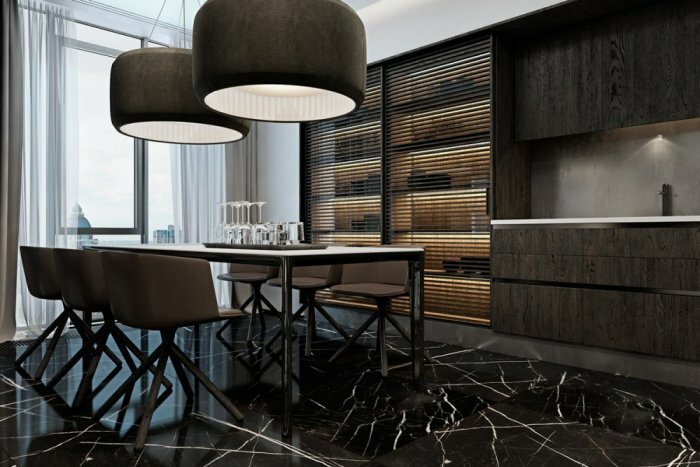 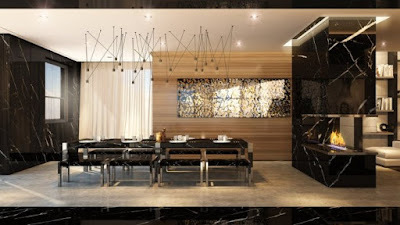 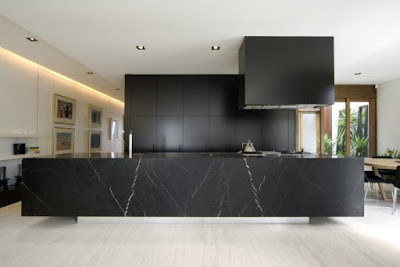 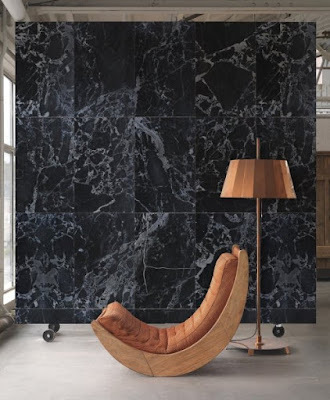 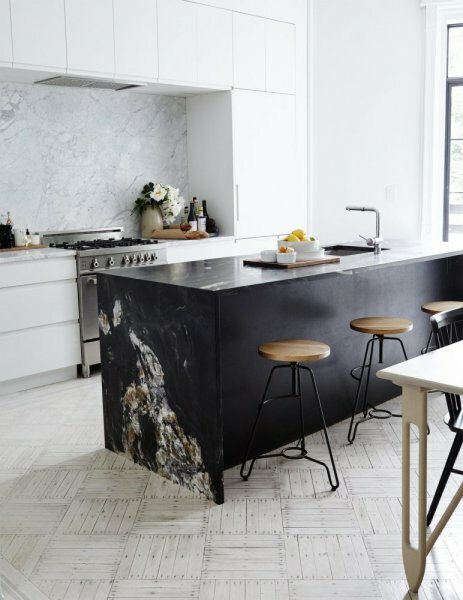 ☗ Walls: When you choose a room wall from black marble, you make it a center of attention spontaneously. 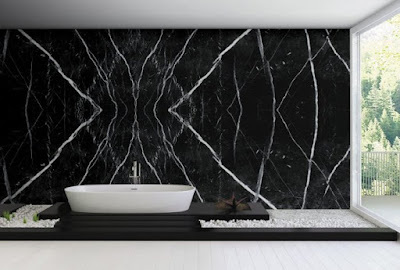 Nothing will draw attention in this room when you add this wall to it.